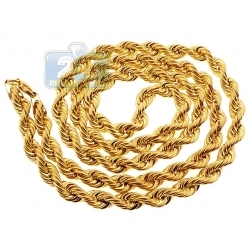 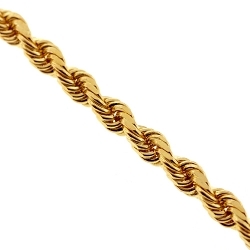 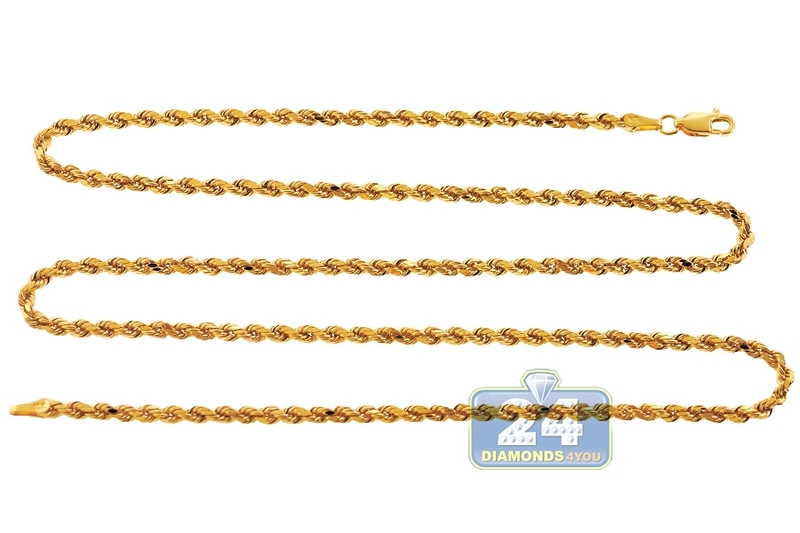 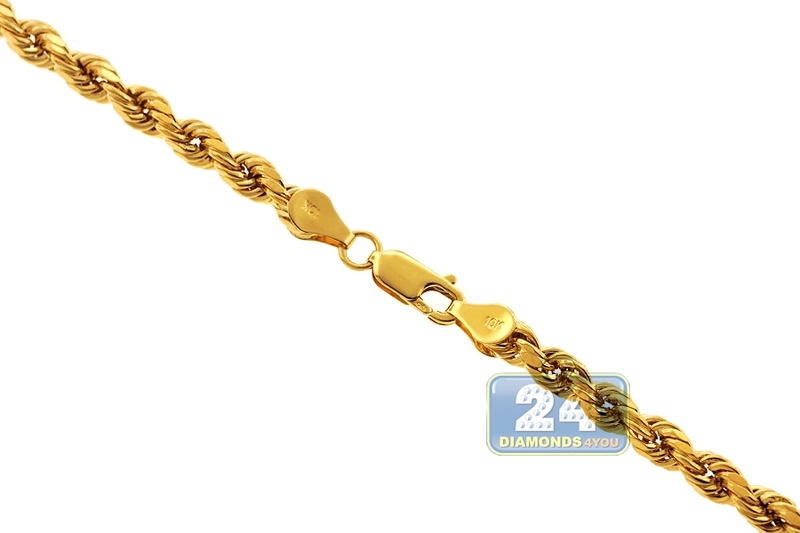 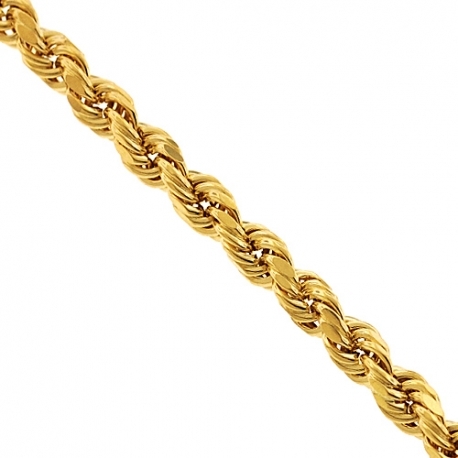 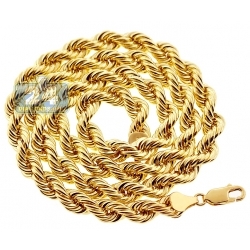 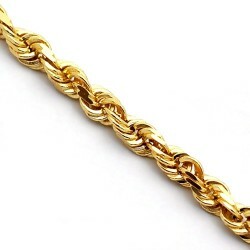 10K Yellow Gold Diamond Cut Hollow Rope Chain 3 mm 24 26 28 30"
Our handsome hollow rope chain is just waiting to shine on its own! Artfully produced from Italian 10k yellow gold, and features highly polished diamond-cut pattern that adds extra sparkle. 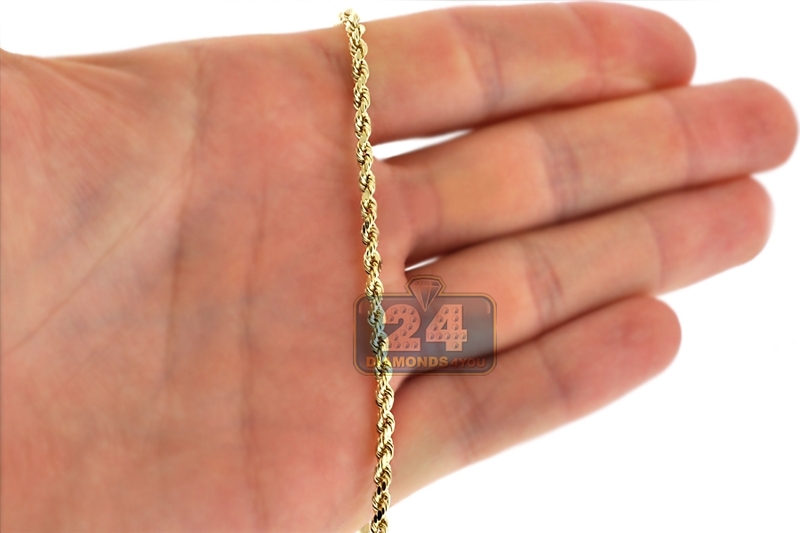 It measures 3 mm in thickness, and comes in length of 24, 26, 28 or 30 inches. 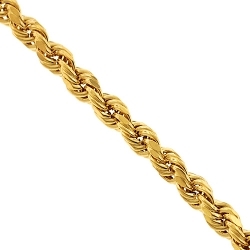 It's also secured with user-friendly lobster claw closure. 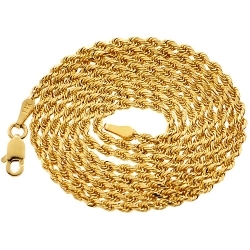 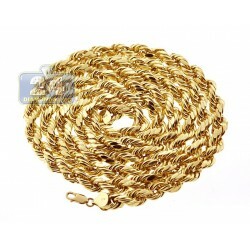 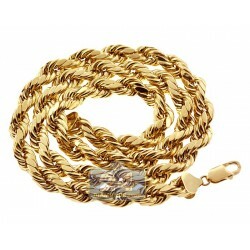 This men's 10k gold necklace displays chic simplicity!